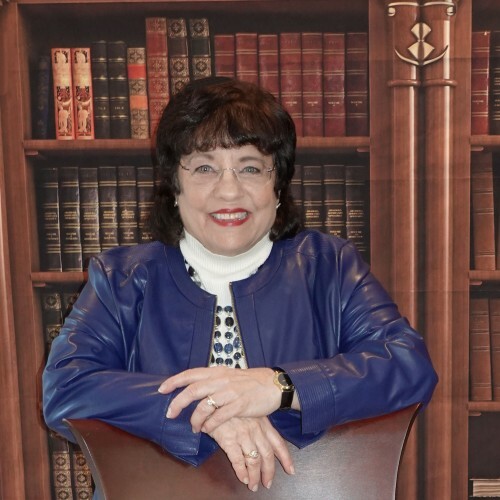 A motivational and educational speaker, Nancy is a highly acclaimed and upbeat presenter specializing in working with small-to-mid-sized businesses, our aging population and high school students. She provides take-aways you can implement immediately. For commercial real estate investors, a real estate investment trust (REIT) can be the right “match.” A look at the basic features of REITs and the advantages and disadvantages to investors can help investors make an appropriate investment decision. A REIT is a company that owns, and in most cases, operates income-producing real estate. REITs own many types of commercial real estate, ranging from office and apartment buildings to warehouses, hospitals, shopping centers, hotels and even timberlands. Some REITs also engage in financing real estate. REITs can provide the opportunity for both small and large investors to acquire ownership in real estate ventures, and in some cases operate commercial properties. Many REITs are registered with the SEC but are not publicly traded. These are known as non-traded REITs (also known as non-exchange traded REITs). Others are registered with the SEC and are publicly traded on a stock exchange. These are known as publicly traded REITs. This is one of the most important distinctions between these two kinds of REITs. • Have at least 75% of gross income derived from real estate. This can make REITs a favorite for income-seeking investors. REITs have existed for more than 50 years in the U.S. Congress granted legal authority to form REITs in 1960 as an amendment to the Cigar Excise Tax Extension of 1960. That year The National Association of Real Estate Investment Funds, a professional group for the promotion of REITs is founded. The following year it changed its name to the National Association of Real Estate Investment Trusts (NAREIT). In 1965 the first REIT was listed on the N.Y. Stock Exchange (NYSE). In 1969 the first European REIT legislation (the Fiscal Investment Institution Regime [fiscale beleggingsinstelling:FBI]) is passed in The Netherlands. Since their development in Europe, REITs have become available in many countries outside the United States on every continent on Earth. Three Main Kinds of REITs in the U.S.
1. Equity REITs invest in and own properties, and are responsible for the equity or value of their real estate assets. Revenues come principally from leasing space. They may sell property holdings. 2. Mortgage REITs, invest primarily in mortgages and other debt products related to real estate. They receive income from the payments borrowers make toward the mortgages the REIT owns. 3. Hybrid REITs invest in both properties and mortgages. Individuals can invest in REITs either by purchasing shares directly on an open exchange or by investing in a mutual fund that specializes in public real estate. Some REITs are SEC-registered and public, but not listed on an exchange; others are private. Some REITs will invest specifically in one area of real estate – shopping malls, for example – or in one specific region, state or country. Others are more diversified. What are the benefits and risks of REITs? • Since Real Estate investments historically have had a low correlation to stocks and bonds, it may reduce volatility by providing asset class diversification for investors. Of course this is true for Real Estate investing in general. The additional advantage of a REIT over an individual Real Estate purchase is that for the same amount invested in a single piece of commercial Real Estate, you may able to own “a piece” of multiple properties which may help to better diversify your portfolio and therefore reduce risk. • REITs may provide access to global real estate investments that own properties in the U.S. and abroad. • REITs can offer investors the ability to invest in real estate without the responsibility of managing properties. • Some REITs may offer higher dividend yields than some other investments. • Distributions may be derived from the proceeds of the offering, from borrowings or from the sale of assets. • Value Transparency: It can be difficult to determine the value of a share of a non-traded REIT which can reduce the value of the shares. Most REITS pay out 100% of their taxable income to their shareholders and can deduct these dividends and avoid most or all tax liabilities. The holders of a REIT are responsible for paying taxes on any dividends and capital gains they receive in connection with their investment in the REIT. Dividends paid by REITs generally are treated as ordinary income and are not entitled to the reduced tax rates on other types of corporate dividends. Important note: Some states impose restrictive suitability standards for purchasers of Non-Traded REITs, such as requiring qualification and concentration limits using liquid net worth. Nancy Butler, CFP, CDFA, CLTC is founder of Above All Else, Success in Life and Business, Waterford, Conn.